Walsden to Todmorden from Lane Bottom Bridge in Bottomley to Hall Street in Todmorden. 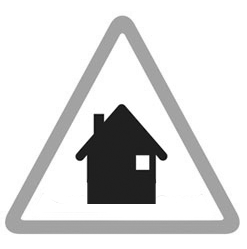 Including properties along and on roads off Rochdale Road through Bottomley, Walsden, Gauxholme, Shade and Salford. The area bounded in blue on the map shows the area covered by flood alerts and warnings for Walsden Water at Walsden.